Streamlined performance for the Bolt and Park. 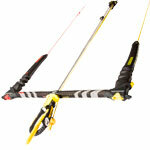 For 2012, the Naish Universal Control System is a 4-line control system in an ergonomic layout. 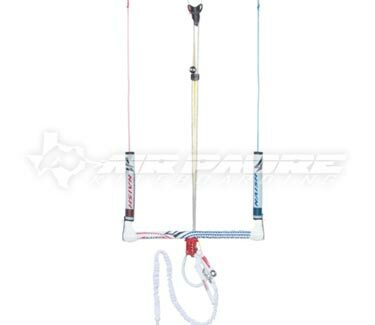 The Universal Control System is the cleanest and most function-rich control system available. Color-coded, thermo-molded EVA and embossed grip: Provides superior grip. 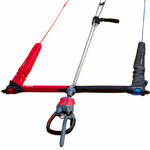 Precision asymmetrical grip: Allows the rider to feel the bar orientation immediately. 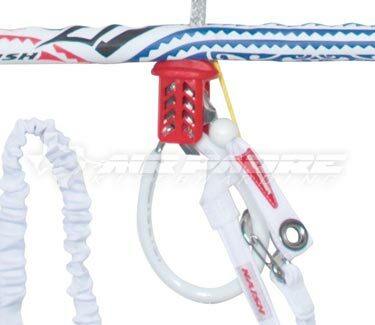 Ultra-soft Powerflex bar ends: Conforms to the outside of the rider's hand and integrates the floaters. 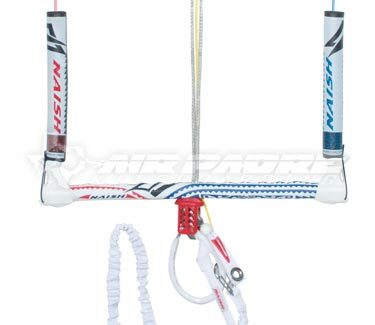 Vario bar end adjustment 18"-20" (45-51cm): A Naish exclusive. The Dupont Hytrel bar end incorporates an internal adjustment system. 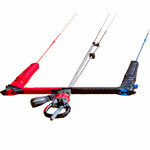 The Vario adjustment features a flush hook which streamlines the bar end. The rider simply uses their flying line to rotate the hook, which in turn modifies the apparent length of the control bar. 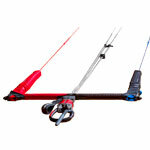 Ideal for fast adjustment when changing bar length between strong and light winds. Internal back line trimming: Keeps the exposed line as clean as possible. Flared aluminum center hole: For minimal friction, easy turning and “bomber” durability. 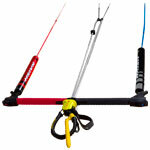 Graduated trim line marking: Provides a visual position indication for the sliding bar stopper. Sliding stopper: Travels over a fixed distance to optimize maximum depower. 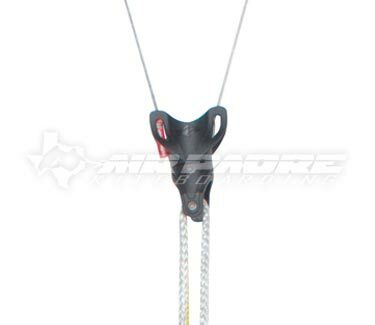 Fool-proof connectors: Removes the possibility of wrong line connection with the kite. 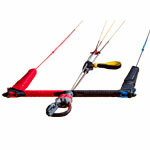 Wide leash with “low force” quick release: Allows easy repositioning after handle passes.